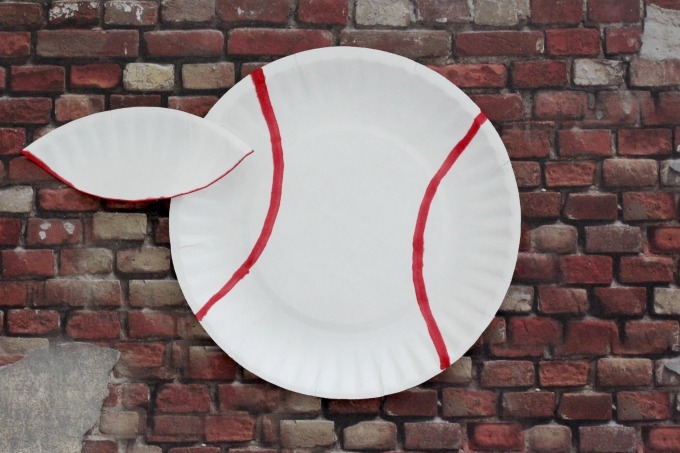 Want to plan a baseball party but don’t want to break the budget? The good news is that it’s really easy to do it on the cheap! 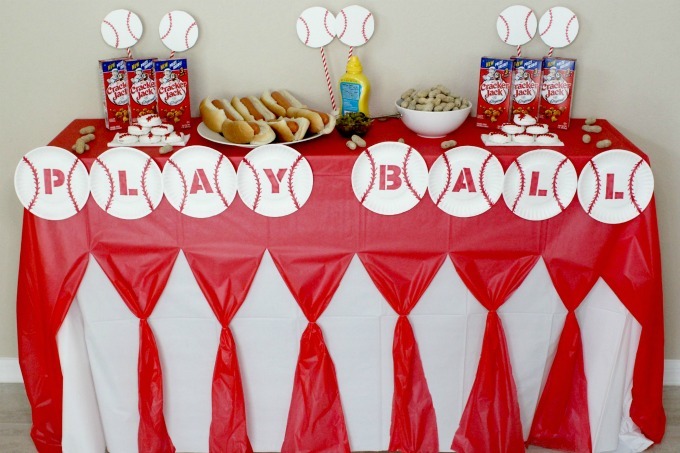 From baseball food to decorations, you can throw an easy baseball party for less than $25! 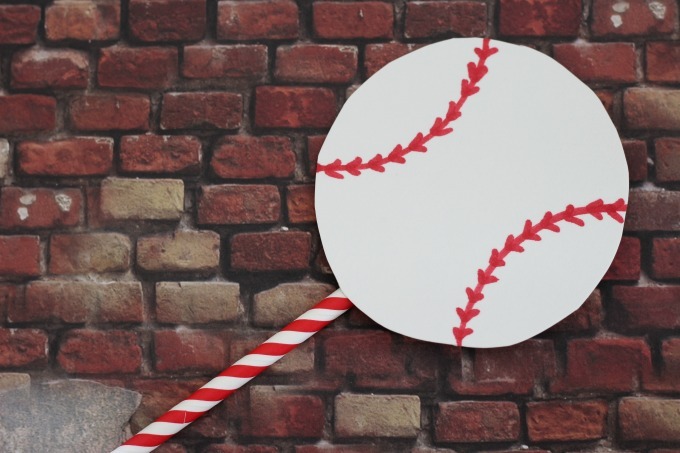 When I was asked to put together a baseball themed party, I was a little out of my element. I have two girls so all our parties have revolved around princesses and castle cakes. However, I can be crafty when I need to be and I was sure I pull it off. In fact, not only was I going to pull it off, I was going to do it on the cheap! The first thing that I needed was a banner. 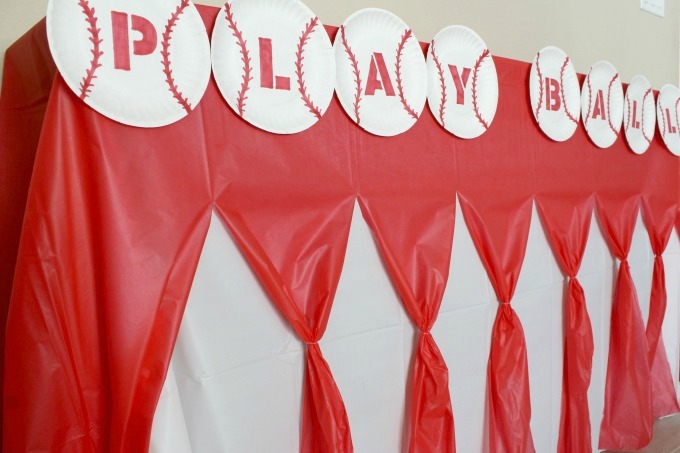 To be honest, my original plan was to go to Party City and just buy a bunch of baseball decor, including a big banner. However, I couldn’t have any major league baseball logos on the decor and EVERYTHING at Party City had a logo. It was time to skip ahead to plan B and get a little crafty. First up was the banner. 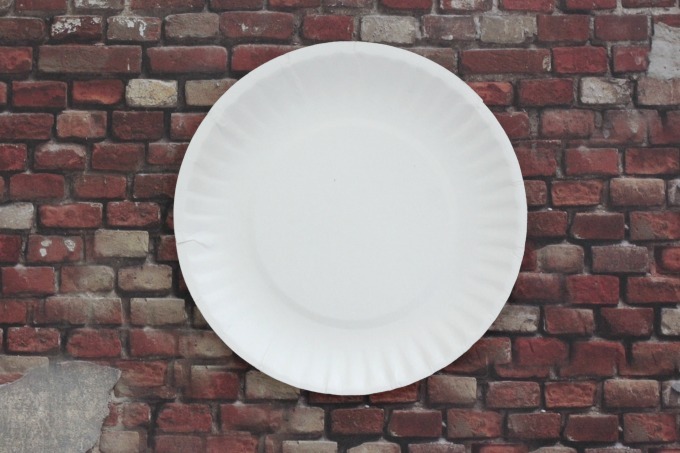 I started with small paper plates. Since I knew it would be hard to draw the lines exactly the same on each plate, I made myself a tracer. 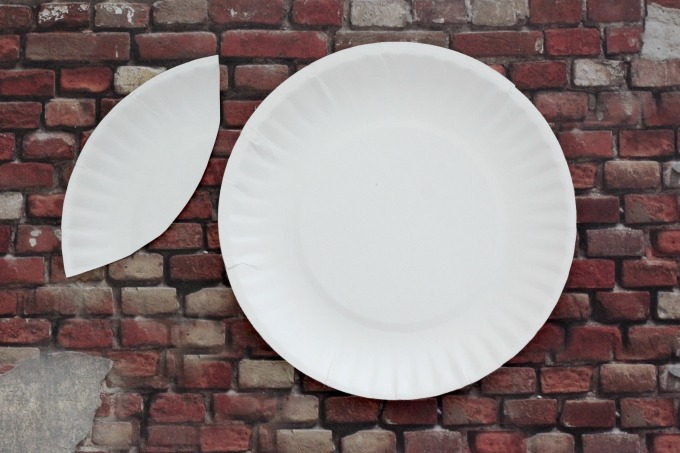 I cut a small piece off a second plate so that the lines would be in the same spot each time. Fitting the tracer over the plate, I used a red marker to draw the seams. I traced the same shape on the other side. Then I added the stitching. 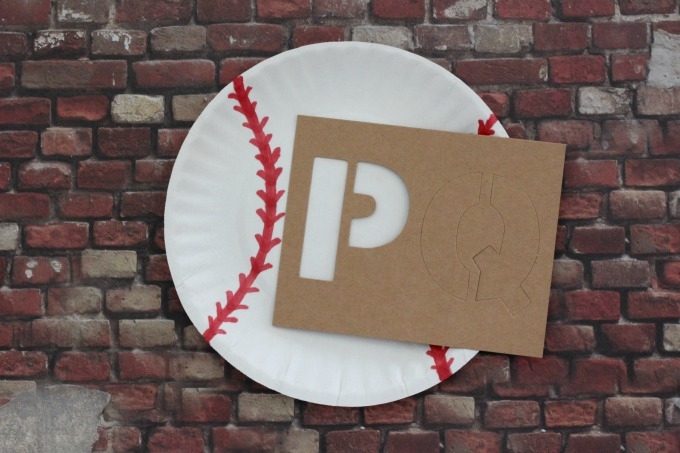 Finally, I took some stencils and wrote out “PLAY BALL”, with one letter per plate. Next, I wanted to make some baseballs that were little smaller. I used a cup to trace circles on white posterboard (card stock would work too). 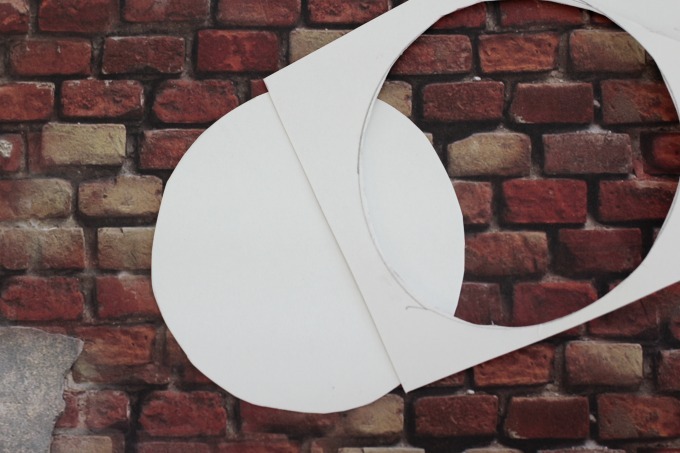 Instead of making a separate tracer, I just used a scrap piece that I had left over after cutting out the baseball. I just traced along the curve of the scrap piece. After making the baseball design on the front, I used hot glue to add a straw to the back. I had found these red and white striped straws awhile back in the dollar aisle at Target. If you can’t find straws like this, you can easily just use plain red or white. 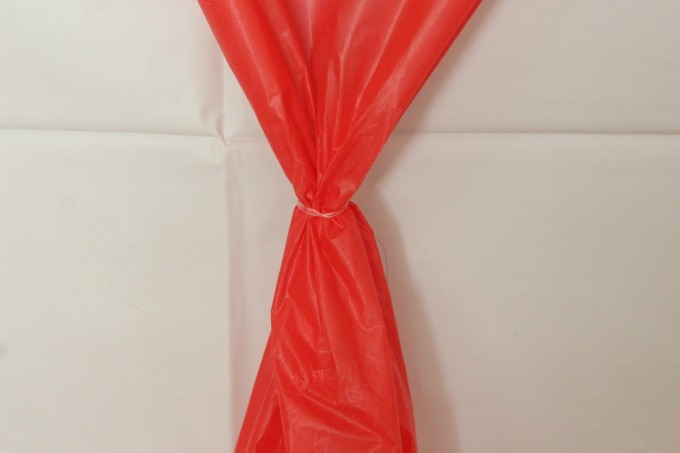 For the tablecloth, I combined a red and a white plastic tablecloth that I got for a dollar each. This part was so easy but I really love the way it transformed cheap plastic tablecloths into something cute. 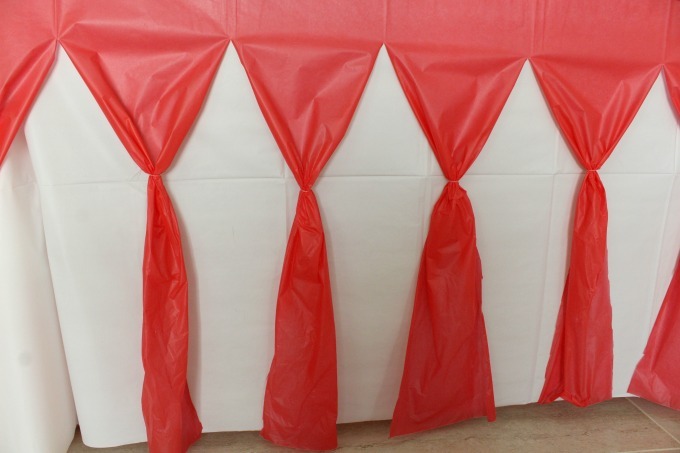 I started by covering the table with white tablecloth, then put the red one over it. 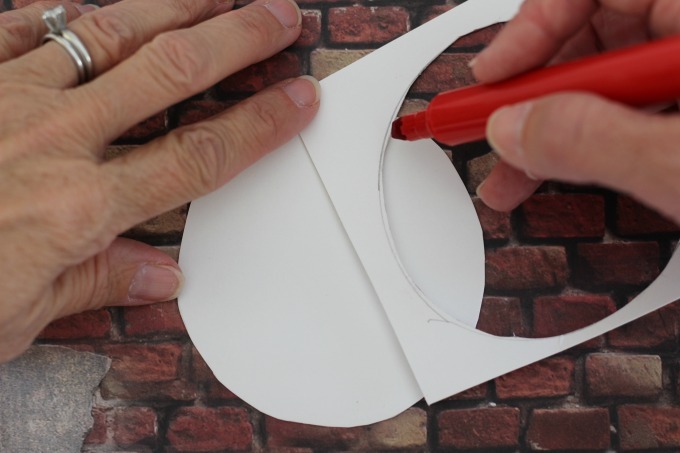 Using the fold lines as a guide, I cut three quarters of the way up and put a small rubber band around each strip of red. I used one of my daughter’s small, clear rubber bands for this part. 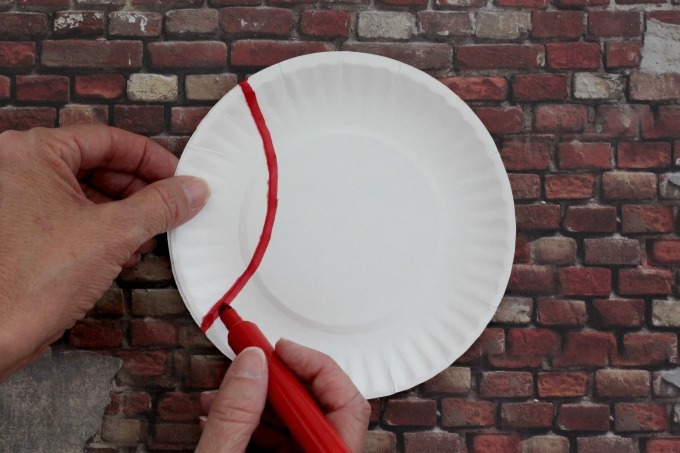 You could also use a piece of string or anything else you may have on hand. 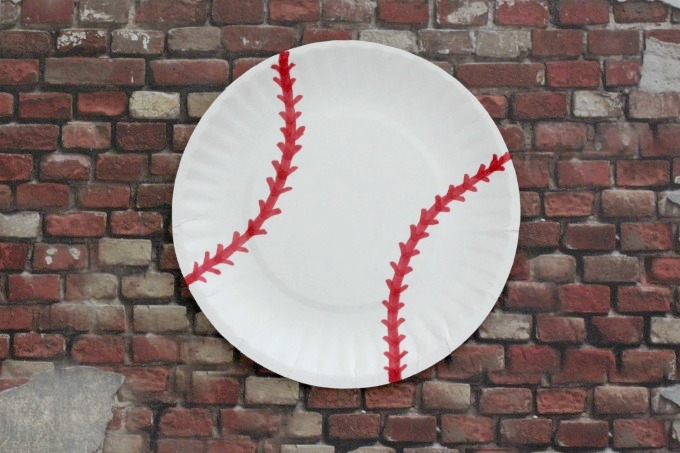 While my original plan was to hang the PLAY BALL plates on the wall, I tried them out first on the front of the table and decided to keep them there. Finally it was time for some party food. Nothing screams baseball more than Cracker Jacks. I picked mine up at the Dollar Store but you can also find them on Amazon. I also made these easy white chocolate baseball cookies. 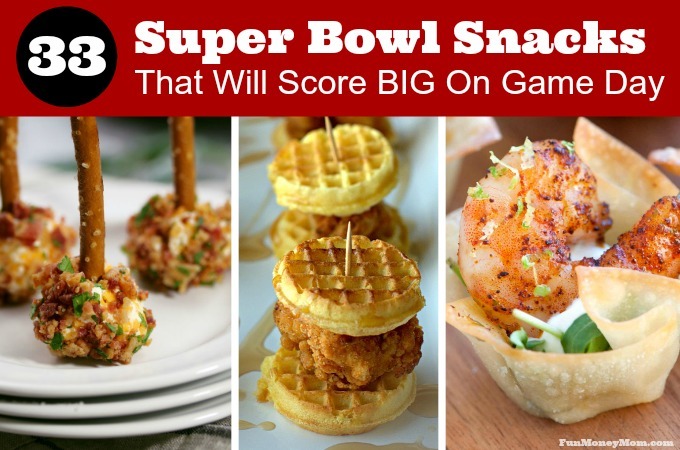 You can’t have baseball without peanuts and hot dogs so I added those as well. Finally I borrowed my daughter’s white Play-doh to display the baseballs in the background. For each set of two balls, I took a chunk of Play-doh and rolled it into a ball. Then I pushed it down onto the table to make a flat bottom and stuck the straws all the way in. I love how easy this was and the entire setup, food included, was under $25! If you’re having a lot of people, you can up the budget for more food but hot dogs and peanuts don’t cost much anyway. I think next time I’ll make a few extra baseballs to hang on the wall but overall, I was really happy with the way this turned out! 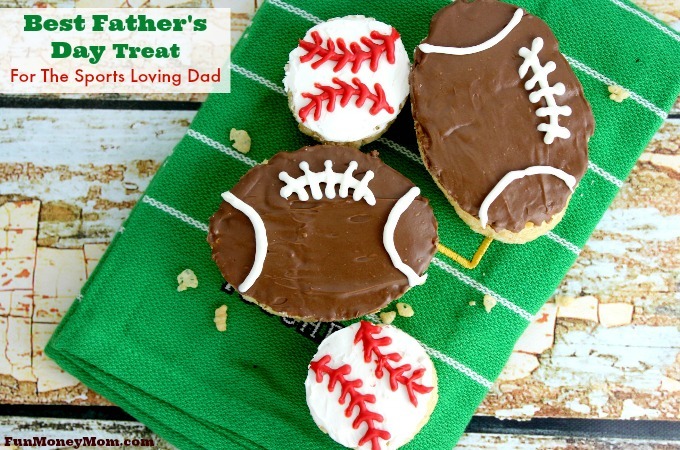 Do you have any baseball fans in your family? What MLB teams are you rooting for this year?